Inspired by the killing of British student Meredith Kercher in Italy, director Michael Winterbottom (Welcome To Sarajevo, 24 Hour Party People, The Trip (TV)) looks beyond the headlines to the media and the public’s insatiable lust for violent stories, fictional and real. The film stars Daniel Bruhl, Kate Beckinsale and in her first major film role, supermodel, Cara Delevingne. Composer Harry Escott first came to prominence in 2005 with his score to the influential psychological horror film Hard Candy. Working in both film and TV his credits includes, Deep Water, The Selfish Giant, Stephen Fry In America and Poppy Shakespeare. 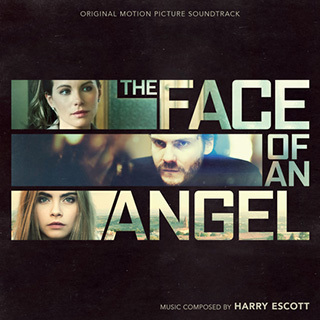 The Face Of An Angel is his third collaboration with BAFTA winning director Michael Winterbottom (following a A Mighty Heart and The Road To Guantanamo). The soundtrack also features Mi Fido Di Te by one of Italy’s biggest singing stars, Lorenzo ‘Jovanotti’ Cherubini.